convenience for families. The calm water at Joseph Sylvia State Beach is ideal for swimmers. There’s a reason Captain John Potter keeps reeling in top honors in this category: a day aboard the Skipper would make the most devout landlubber into a mariner. Captain Potter shares stories and experience from years on the sea, landing friends and customers along with a fluke or two. Coop’s knowledgeable captains and shore guides ensure a memorable, and successful, fishing trip. 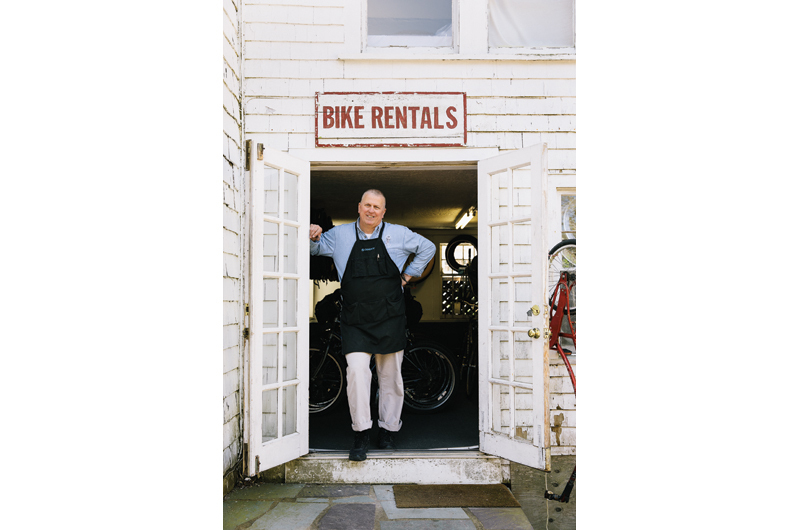 Philip Hughes, owner of Wheel Happy, is real happy to find you the perfect bike rental. Wheel Happy and Edgartown Bicycles have strong reputations among Island bicyclists, and that’s not just spin. With two locations, delivery services, and a large selection, Wheel Happy prides itself on helping riders explore the Island in a fun, safe fashion. Edgartown Bicycles, run by experienced cyclists, has a well-stocked store full of bikes and gear, plus rentals and servicing. Anderson’s Bike Rentals is conveniently located near the ferry terminal in Oak Bluffs. A summer day at Wasque: the blues are running and the sun is shining on the churning water. Fishermen swear by this remote, wild spot at the tip of Chappaquiddick. With deep history and a host of fellow fishermen for company,Menemsha is worth the trip even when the fish aren’t biting (but they often are). If nature does indeed heal the soul, a walk at Cedar Tree Neck Sanctuary might be among the most powerful of curatives. Here, trails wind through old woods filled with birds and streams; on the remote beach, waves lap the Island’s rocky north shore. The second highest point on the Vineyard, Menemsha Hills, rewards hikers with sweeping views across Vineyard Sound to the Elizabeth Islands. Whether you’re looking for up-close views of salt marshes and shorebirds, or just an afternoon of exercise, you can’t go wrong with a paddle around Sengekontacket. Head out early to watch the sun rise over Nantucket Sound, or look for horseshoe crabs under the light of a full moon. Easily accessible, it’s a favorite with shellfishermen, too. 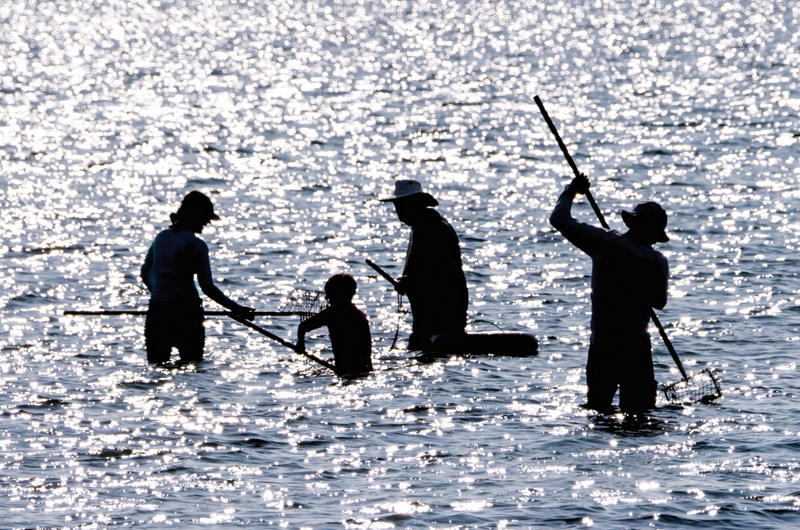 Edgartown Great Pond is beloved for its unspoiled beauty. From school groups to weddings, Black Dog charters create lasting memories. Countless visitors have enjoyed sunset cruises or learned to sail aboard the signature schooners Shenandoah and Alabama. Mad Max provides smooth catamaran cruises out of Edgartown harbor. Calloo, Callay! Camp Jabberwocky has been providing a unique, fun summer camp experience for those with disabilities for more than sixty years. From plays to prize-winning floats in the Fourth of July parade, the memories last far beyond the summer. At the FARM Institute, campers can spend time with sheep, do farm chores, and play games in the rural setting of Katama. Are you kidding, Lucy Vincent Beach.